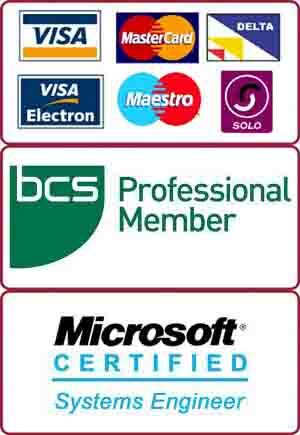 PC and Mac computer repairs in Kingston Upton Thames at your doorstep. Our repair centre is near A3 in SW15 but can come to any address in Kingston for computer and laptop troubleshooting. Why bother taking your computer to a work-shop when you can have certified engineers at your doorstep for a cheaper price? We are open 7 days a week and offer free diagnosis and NO FIX – NO CHARGE guarantee. For more information call us now on 0207 6100 500. Recent job from Kingston for laptop repair at the client’s premises: We got a call from Kingston Upon Thames from a student who wanted to fix her laptop’s internet connectivity problems. The laptop would connect to the internet through Wifi at any other location but would not connect to her own Wifi at home. She was living in a student accommodation with 6 other students. All of them could connect to the broadband wirelessly but her laptop would not allow her. She had already tried everything but nothing worked. We sent our engineer to diagnose and repair the problem. Our engineer diagnosed the problem and found out that a setting in router was causing this problem. He changed the router settings and solved the problem within 15 minutes. If you live in Kingston Upon Thames and want us to come to your home or business, call us now on 0207 6100 500. We are based in SW15 and cover all the surrounding areas including Wandsworth, Wimbledon, Barnes, Roehampton, Tooting, Balham, Kingston, Chelsea, Battersea and Fulham. For any PC & Mac computer related problem in and around Kingston Upon Thames, contact us for a free advice.